Visit spectacular Alexandria Library, inspired by the city’s great ancient library and home to eight million books! 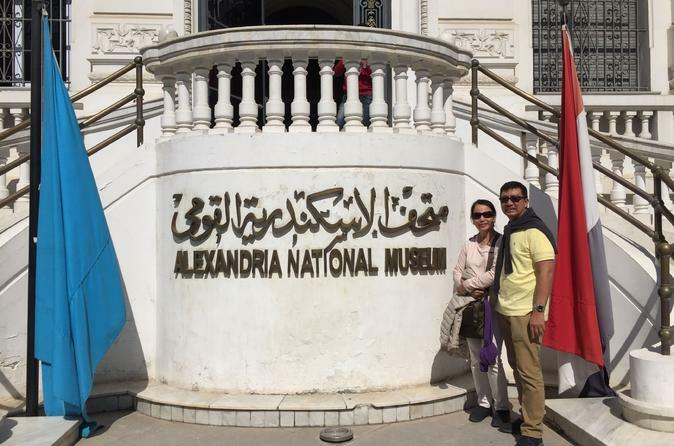 Kick off your Alexandria day trip from Cairo when you meet your guide in the center of the city. Travel in air-conditioned comfort aboard a luxury coach as you make your way to Egypt’s second largest city. Founded by Alexander the Great in 312 BC, the city’s coastal views and easy access to the Mediterranean Ocean make it a destination for travelers to this diverse nation. Follow your guide into the dark Catacombs of Kom ash-Shuqqafa and venture into the three levels of tunnels that make up the world’s largest Roman burial site. Learn about the chambers, sculptures and frescos and experience the spooky triclinium, where family held giant feasts to honor the fallen. Next, your guide will take you to the former site of the Lighthouse of Alexandria, which was once recognized as one of the Seven Ancient Wonders of the World. 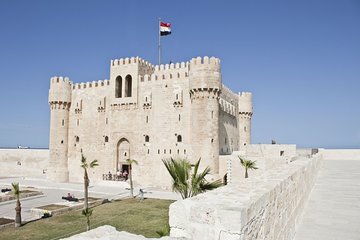 Though the structure no longer exists, you’ll learn about its mythical past and get an up close look at the 15th century citadel known as Fort Qaitbey, which was built on these hallowed grounds. After a local lunch (own expense) your guide will take you on a tour of the Alexandria Library. Its disc-like shape is unusual for the area and is home to more than eight million books. Finally, no trip to this fine city is complete without a stop at the Alexandria National Museum. Wind through the halls filled with Greek and Roman artifacts and gain a deeper understanding of how these European lands influenced the development of Egypt. At the close of the tour your air-conditioned coach will transport you back to Cairo and return you to your original center-city starting point. My tour guide Mohammed is a legend. He made my day! This tour is really great and I would highly recommend it. My favorite was the former light house, an incredible sight! The 2 hour ride was easy because we talked the whole way.  Would book again with this company and this guide! This tour was great! Our guide Ahmed was very informative from the minute he picked us up until he dropped us off. Well worth spendng the day. Only suggestion would be visiting the Library of Alexandria before the Alexandria National Museum, I feel like there is much more to see there than the Museum. La calificación de 4 no es por el operador que ofrece el tour es en sí por Alejandría que nos quedo a deber un poco. Hicimos otros recorridos en el Cairo y los lugares son maravillosos, la gente, la comida la verdad es que es un lugar que vale la pena conocer. Este viaje en particular es largo y creo que hay otras mejores opciones para visitar. de Alejandría la biblioteca es realmente espectacular !! No sign of the ancient library. Be careful when you book this tour to know what it really is... a 3-hour drive to Alexandria, visiting a couple of sites, and a 3-hour drive back. The catacombs are very interesting to see the melding of Egyptian, Greek and Roman cultures as each took over Egypt. Do don't go in the castle. The newly re-built library at Alexandria is interesting. Don't know if I'd waste an entire day of vacation on this tour. The tour was as advertised but not quite what I was expecting. The catacombs were SO AMAZING. The museum was kind of boring and you couldn't take pictures. The library was impressive but again not what I was expecting - I thought there would be more information or artefacts from the original library. My guide was very accommodating and took us to see the citadel. Had an amazing day in Alexandra, the guide was very well-informed and made sure I was comfortable with pace at which we were going, opting to spend more or less time as needed. Learned a lot about the city in-between sites we say, the education never stopped! Thankfully, traffic from Cairo to Alexandria was light due to a holiday. The drive is quite doable for a day trip. My guide, Hend, was extremely thoughtful, knowledgeable and accommodating. Each of the tour stops especially the catacombs and library was worth it.